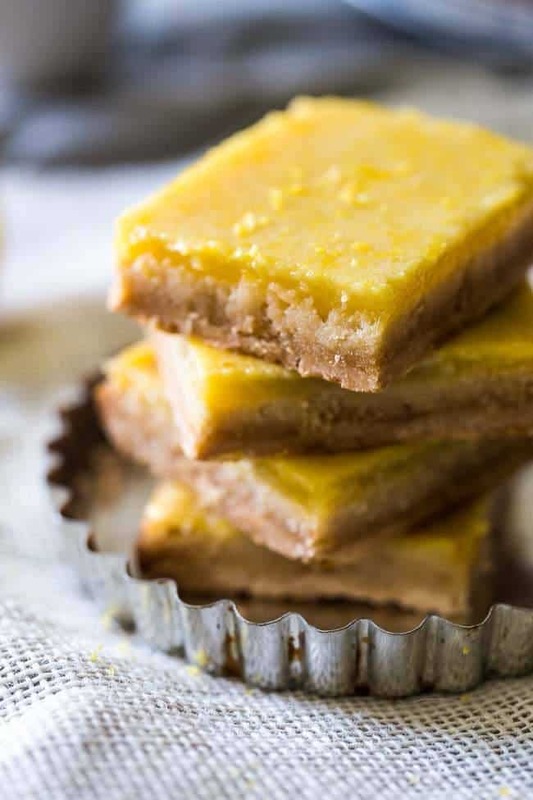 The classic lemon bars get a Paleo-friendly makeover! They’re sweet, bright and so easy with only 5 ingredients! You’d never know these are healthy! It’s Friday. And I am bringing you a VERY SPECIAL TREAT. Said no one ever. I KNOW. 9 tries. In one day. Some call it crazy. I call it dedicated. With a sprinkle of crazy. And a dash of I’m-still-getting-lemon-zest-out-my-hair-good-thing-that-blonde-sort-of-suits-me. But, seriously. The lemon part of these bars? A SNAP. Those were perfected by try numero dos. It’s pretty hard to mess up lemon juice, honey and eggs. It’s like when you decide to put chocolate in cookies and make paleo cookies. Putting delicious things into ONE thing can only mean it will totally, insanely YUMMY. Like rich eggs, sweet honey and tangy lemon juice. SO GOOD. But the crust? MY NEMESIS. I kept making these perfect crusts. But then they were notsoperfect by the time I poured the topping on them. Yeah. Nobody wants to eat that. It was basically a pile of lemon flavored yum…on top of a pile of mushy, crust that once was. But now is NAHTTT. Mr. FFF told me to give up. BUT, I JUST TOOK THAT AS A CHALLENGE! GOALS. Aaaaannnd, this was the FIRST recipe I have re-done from the Reader Re-Dos that I want to do! Do you remember me announcing that WAYYYYY back a million years ago, and then I just never got around to it? That’s right. I want YOU to send me your favorite recipes that are NOTSO waistline friendly, and I’ll pick some to try to make into healthy good-for-you nummage! Since then we’ve also remade low carb ketp philly cheesesteak stuffed peppers and vegan gluten free strawberry rhubarb crisp! Which is why I couldn’t give up. A reader submitted her favorite Lemon Bar Recipe from “A Family Circle” and I COULD NOT LET HER DOWN. Plus, lemon bars happen to be one of my most favorite desserts of ALL the evers. But you know this already since we’ve eaten strawberry no bake gluten free paleo lemon bars, no bake paleo lemon bars and tropical paleo lemon bars. So testing wasn’t THATTTT BAD. AND it made our apartment smell like I was the best housewife ever who just sits around and cleans ALL DAY. Either that or people thought that Mr. Clean moved in. However, I have more hair than him and more female qualities. So, I hope people do not mistake me for the latter. After eleventy billion batches, these happened. I let the whole thing cool over-night and woke up with major anxiety (can you write off counselling sessions as business expenses?! Please say yes.) about cutting into them. I rolled out bed and uncovered them. I cut into them VERY apprehensively. AND AND AND, I actually felt my knife CUT through the crust. Like in a CRUNCHY-HOW-A-CRUST-SHOULD-BE sort of way. <— !!!! I took it out the pan and, BEHOLD, a NO MUSH CRUST. And the taste? Fresh, bright, perfectly sweet and loaded with lemon flavah! Only 5 INGREDIENTS? CHECK. Paleo? CHECK, the sequel AND good for you WHILE still taking you to Num town? OH BABY. Lemon Bars. Consider yourselves conquered. 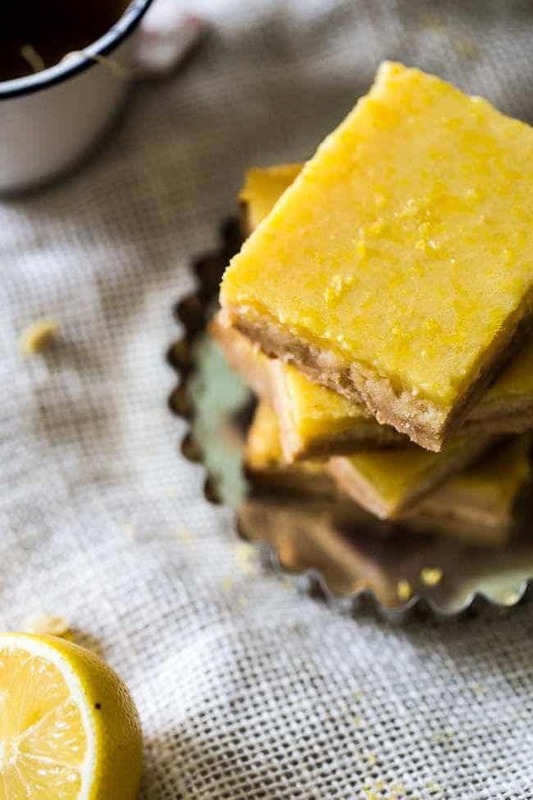 The classic lemon bars get a Paleo-friendly makeover! They're sweet, bright and so easy with only 5 ingredients! You'd never know these are healthy! 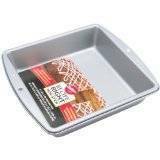 Preheat your oven to 350 degrees and generously rub an 8x8 inch pan with coconut oil. Set aside. In a large bowl, using an electric hand mixer, beat together the honey, coconut oil and pinch of salt until creamy and well combined. Stir in the coconut flour until a dough forms. Press the dough evenly into the prepared pan and bake until just lightly golden brown, about 8 minutes. ** Once cooked, let cool for 30 minutes. Lower the temperature of your oven to 325 degrees and lower the oven rack to the 2nd from the bottom position. Once the crust has cooled, gently whisk together the eggs, honey and lemon zest in a large bowl. Do NOT use an electric mixer here or you will over-beat the eggs and the topping with crack once baked. 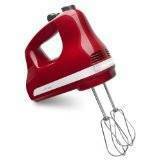 Use a hand whisk. In a separate, medium bowl, whisk the coconut flour into the lemon juice, 1 tsp at a time, until well mixed. Make sure you continually whisk as you add the flour so that it doesn't clump up. Pour the lemon juice mixture into the egg mixture, whisking while you pour, until evenly combined. Pour the topping over top of the cooled crust and bake until it is just set, and the very center is just slightly jiggly, about 21-23 minutes. Let cool completely at room temperature. Then, cover and refrigerate for at least 6 hours, best over-night. You need to let the crust completely cool, or it will be soft. 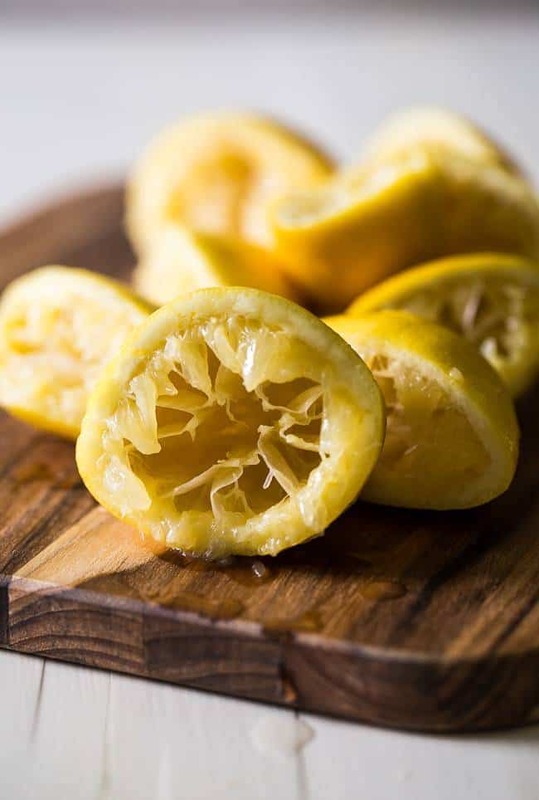 Do NOT use lemon juice from a bottle, it tastes completely different than fresh. I tried it. Not good. * Make sure you DON'T OVER-BAKE it. I did once, and it completely makes the lemon layer bake funny, and makes it almost disappear. You want to to be golden brown on the edges and VERY light brown on the inside. I have had a few readers struggle with this recipe, but I have made in MANY MANY times with great results. Please make sure to follow the directions as written, and I highly recommend weighing your flour, as gluten free baking is tricky. Store bars in the refrigerator until ready to serve. ***The first bar is a little difficult to get out, so be gentle! But, once one is out, it's smooth sailing! I’d love for you to keep submitting recipes for me to re-do! Click HERE to submit! Okay….I am considering moving to your city purely to be your taste taster. I’ll bring protein ice cream, my Australian accent and Hugh Jackman. Minus the last bit. Until you said minus Hugh Jackman. That is certainly dedication!! Love that you’ve made lemon bars healthier. I love them so much, but my skinny jeans don’t! Also “mush-crust” had me laughing so much, great new word! I totally get ya on the skinny jeans! And so glad you like my word-age and these bars, thanks friend! Wow, 9 tries in one day? That IS some serious dedication, girl! It looks like it was well worth it though because these bars are totally making the weekend look even better! Yep. Let’s just say, it was ALONG DAY! Thanks so much Tori! Have a great weekend! These bars are so gorgeous, Taylor! Just what I need for a Friday. I can’t get over that pretty yellow color or how simple these are to whip up. Sounds delish! Pinned! Have a great weekend! Thanks so much Gayle! I hope you have a great weekend too! I’m glad you didn’t give up because these look delicious. I bake a lot of things that I end up sharing with my family and co-workers at Starbucks or the school I teach at. I like to make healthier options, too. These look like the perfect way to surprise them and assure them that they’re snacking on something that’s good for them. YUM! But,that could just be me. Ha! Thanks Erin! Can you come and make my house smell like lemon AND make me some of these bars? Because I’m pretty sure I’d like to eat eleventy million of them. 😉 Amazing recipe, my friend! Haha! SURE! We will be close enough to do that 😉 Thanks girl! These look seriously amazing! I was craving something lemon the other day, which is weird because I almost never go to fruity flavors for sweets! Thank you so much Alysia! It’s weird how we sometimes get the most random cravings! Those are some darn good looking lemon bars, Taylor! Glad you got around to perfecting the recipe because LEMON and PALEO! Gotta try these soon! YES you do! Thank you Julie! I’m a lemon bar freak! We had them at our rehearsal dinner! Your paleo version looks yummy! I don’t even want to know how many honey bears your went through making this 9 times!! No, no you really do not want to know 😉 I am also a lemon bar FREAK!! Thanks so much chica! THANK YOU for making these. True story: I actually attempted bars very similar to this and just couldn’t get them right. Then I gave up and made something chocolate-y instead haha these look amaaaaazing. YES! After your instaG post, I was wondering when my eyeballs would be graced with the presence of the paleo lemon bar. I’m so happy you continued your dedicated pursuit of the perfect paleo bar – they look marvelous, dear! Well done! Thank you so much dear! I hope your weekend is awesome! you have some serious dedication girl! I usually start to scream cry or both after three fails, and then I give up. but man it sure looks like your hard work paid off!! Haha, I definitely did do some crying dont you worry! Thanks Heather! YES! I’m so excited!!! I love lemon bars! ME TOO! I hope you love these -thanks Jessica! Huge fan of lemon bars here! Love them! And I’m loving this paleo version. They look incredible, Taylor! Thanks so much Jen!Happy Friday! I hope you do make them, I promise they are totally worth the calories 😉 Thanks Katelyn! Haha, I don’t usually try that many times, but I could FEEL THESE! Yay! I hope you love these then, thanks so much! Beautiful recipe. Love the way these turned out. HAHAH! Love it! Thanks so much girlfraaaand! Haha! It wasn’t bad 😉 Thanks for the love and pin lady! 9 tries in one day! Wow! The most I have ever done is 3. Thank you for your dedication, These looks amazing! Pinning now. although, I may never eat a lemon bar again 🙂 Ha! Thanks so much Michelle! Oh my gosh. Lemon bars are my all time fave dessert and I’ve been looking for a great healthier version for a long time! I’ve been wanting to try out coconut flour too. I’ve never cooked with it! Thanks for putting in all the hours testing this recipe! These look fabulous! Coconut flour can definitely be tricky, as it is SOOOOOOOOOOO absorbent! I hope that you love these Krista! Please let me know if you try them! 😀 Thanks! These look so good! I admire your persistence making these 9x in one day–I can’t say I’ve ever done that many tries within 24 hours, but I think I made 10 matcha mug cakes in one weekend for the recipe I recently posted. A little crazy but fun (and delicious!). Haha, sometimes it’s fun to test that many times because you get to eat THAT many desserts 😉 Ha! Thank you Becky! I have been wondering about making healthy key lime bars, then I read your recipe and it’s all clear. 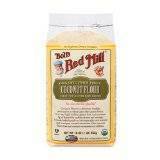 I’m not a big fan of coconut flour, do you think I can substitute it with oat flour? Unfortunately, coconut flour and oat flour are MUCH MUCH different, so they can’t be substituted. I am sorry! Let me know if you play around with it! Ahhhh!! 9 tries! You steadfast genius you. Plus they are nut free, that is a bonus. I can’t wait to try this perfect sounding recipe. Pinned! WAIT? NUT FREE? I thought cocoNUT would make them not nut-free? Sorry if that is a dumb question!! Thank you so much for making over one of my favorite recipes from my childhood, Taylor! You are the best. I can’t believe you made the recipe 9 times! And it’s like a fabulous double whammy that you were able to make them paleo AND with only 5 ingredients! I am so excited to try these! I’m traveling for work this week, so no kitchen (sad face) but as SOON as I’m home this weekend, I’m making them!! Thank you, thank you, thank you! That is a MAJOR SAD face!! I so so hope you LOVE THEM! And you are SO welcome, it was actually fun to do all the trouble shooting! 😀 Let me know what you think Michelle! I hope you love them – thanks Natasha! Haha YES! Then you can feed me cinnamon roll oatmeal. WIN! Thanks lady! Always looking for great palio recipes this looks super yum pinning it! Coconut and lemon! Two of my favorite flavors. I am going to try these for an Easter dessert! Thanks! Please let me know how they turn out! Hi! 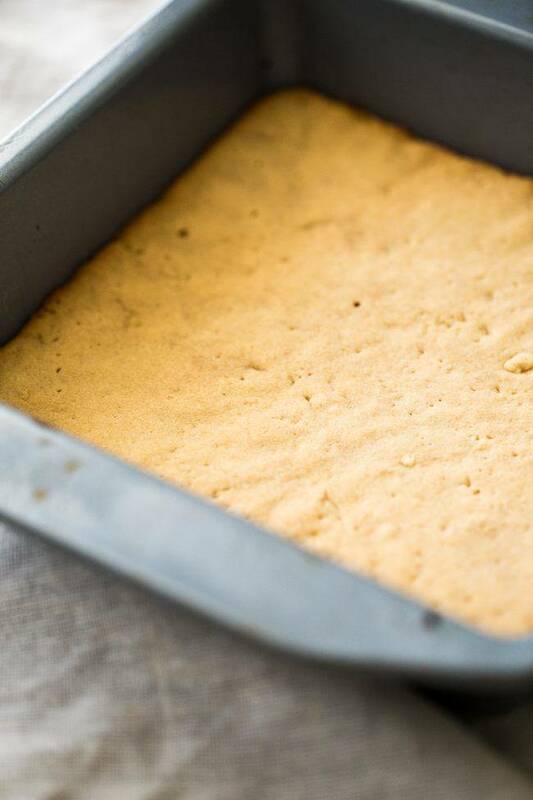 I just TRIED to make these paleo lemon bars…. fail! the liquid totally seeped into the crust and there was NO lemon topping once i took it out of the oven! HELP! I cooked the crust for a bit longer because i didnt think it was ready… was that the issue? You definitely over cooked the crust! That happened to me when I made a batch of these. Try cooking the crust less! I’ve had readers make this recipe with success, so I think that’s the key! I hope that helps! I think I may have accidentally done the same thing. When I tried to make these, the lemon part of the bar ended up having a very coconut-meaty texture (which neither my brother nor boyfriend enjoyed, I didn’t mind it). Did I over bake the crust as well? I didn’t see much of a “lemon layer.” Thanks! Hi Amanda! I am sorry that happened to you! Yes, I would say you over baked the crust! Remember that the crust will be baked more once you add the lemon topping, so don’t overbake it on its own! Also, did you use an electric mixer by chance? Those kill the topping! Hi Amanda, I did just want to let you know that I re-made these today, since you and someone else had an issue with them..and they turned out absolutely perfect, so i really think it must be something with the baking of the crust OR, are you beating with an electric beater, or forgetting to adjust the oven rack? I hope we can figure out what the issue is! Have rebecca! Have you tried these again? I did want to let you know that I re-made them today (for the 10th time) just to make sure, as someone else had the same issue as you. But, they still turned out totally perfect. I really think it must be the crust…I baked mine 8 mins. OR did you maybe use an electric beater, or forget to adjust the oven rack? Anyway, I would love to figure out what went wrong! Love me some Paleo treats, and pretty much everything with lemon! Congrats on on your feature at the From Dream to Reality hop! Thanks so much! I am a lemon freak too! Hi! I found your blog through this recipe on Pinterest and started following you. I made these today for Easter and they were amazing! My non-paleo Dad and boyfriend loved them! I followed the recipe exactly and weighed my flour which is a good habit in baking anyways 🙂 I was in a bit of a hurry to get them chilled so after they got to room temp I popped them in the freezer for a bit and they were perfect! Thanks so much for this great recipe. The crust will make a great base for other paleo treats too! I am so glad they worked out for you and that you loved them! I currently have some in my fridge for Easter too! Thank you for letting me know! 😀 Happy Easter! These were delicious!! They didn’t come out as pretty as yours (my fault. I overcooked the crust) but they were yummy all the same. Thanks for the recipe! That crust can definitely be tricky! But so glad you loved them! Thank you letting me know! Making these at the moment…..last stage in the oven. Really hope it works out. She you said whisk the eggs and lemon zest etc with a had whisk is it just to combine or do it till it’s fluffy? Just to combine! Please let me know how they turn out! I tried these out and they are AWESOME. Another bath is in the oven as I type this.You and site are lovely! Yay!! I am SO pumped that you love them! Thanks so much for the sweet words – you made my weekend! I am halfway through making this recipe for the first time, and I just realized I won’t be able to serve for them for dessert tonight as I intended since I didn’t factor in six hours for them to cool. I realize I should have read the entire recipe first, but it might be a good idea to factor in the chilling time in the “total time” listed. Oh I am sorry! You can probably get away with 4 hours chilling, but it doesn’t sound like that would even work. I’ll add that into the recipe! LOL at wait overnight for them to chill… i gave them 20 minutes to rest then cut a piece out and they were AMAZING!!! I followed the recipe but added cinnamon to the crust and OMG best lemon bars ever even still warm!!! Between a couple of my friends who have different dietary restrictions, I needed a dessert recipe that didn’t have gluten, dairy, sugar or nuts to serve at a party. This was a winner! Thanks so much. Also, is it possible to substitute rice flour for the coconut flour? Woo hoo! So glad it was a hit! Thank you for letting me know! I mean, it’s not my recipe and I’ve never tried it at all, so I can’t speak for it…but just trying to help! 🙂 Hope that does help! Hi! I made these last night and they are super yummy. I am taking a bus from Boston to NY later this afternoon, and they are currently in the freezer in tupperware at my work…do you think they will survive the trip?? ~6 hours? I made them for father’s day! Sorry for the late response! I think they would be okay, but you will probably have to put them in the freezer before serving, to set them up! I hope this helps and that they make the trip!!! Glad you liked them! I’m sorry Sarah! Maybe I can help your touble shoot? I had had a ton of readers LOVE them and have great success with them! It’s odd that they stuck. I wonder if you used TOO much coconut oil and it made them soggy? Yours is a fabulous healthy version of this classic; mina came out almost exactly the same and this was my first real baking experience! Oh man, I FEEL ya on the butter in all the recipes thing! YAY I AM SO SO HAPPY they worked for you, and you’re first baking experience! SO AWESOME! Thanks for sharing!! This is the best lemon dessert I have ever eaten! Thank you so much for such an excellent recipe!! Do you think they freeze well? I loe this recipe and looking forward to trying it. Wondering what can honey can be substituted with if i am off sugar? Can I use a sugar substitute? What would you suggest. Thanks…Love you site. Hi Magda! I really can’t tell you, as the recipe was not developed or tested any other way. I can tell you FOR SURE, that it has to be a liquid sweetener. I think the only thing you really could use is Agave. I’m sorry! But thank you for the love! If you do try something, please let me know! Hi Peggy. Unfortunately I know nothing at all about diabetes, and I don’t feel comfortable making that kind of nutritional statement, as I am not a doctor. please feel free to plug the recipe into something like “my fitness pal” to find out the sugar content. Sorry I can’t help! I just made these the other day, and decided to freeze them as a summer treat and to make them last longer, oh my goodness, they were good cooled, but frozen, they are irresistible! Thank you for the amazing recipe! REALLY?! Now I need to make some to freeze 😉 Thanks for letting me know and so glad you love them Sarah! I LOVE these ! They are so good, thanks so much for sharing the recipe….now to stop myself eating all of them. Haha, I totally FEEL YOU! I had to do the same. But, I am so glad you love them! Thanks for letting me know Helen! I hope it turned out better today. As mentioned in the recipe you do need to let them sit a long time, and many other readers have had great success with this recipe! I hope you did too! I’m not sure how to note what the filling should look like? It’s just yellow liquid, as it’s eggs with honey and lemon juice! Anyway, let me know how it turned out and we can trouble shoot if it didn’t end up working – happy to help! These look so great! What a great idea using coconut flour! 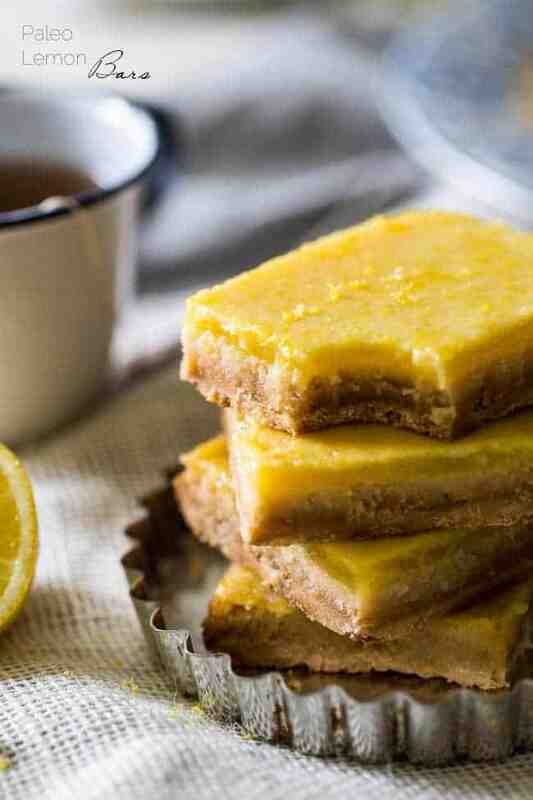 I am super excited to try making these healthy lemon bars. I woke up this morning with a feeling of making lemon bars, but of course some of the lemon bars out there are loaded with sugar and flour. I am glad I came to your blog, and thanks again for trying it out 9 times and sharing this great recipes! You are so welcome, I hope you love them just as much as I did! I would love to know how they turn out for you! Thank you! 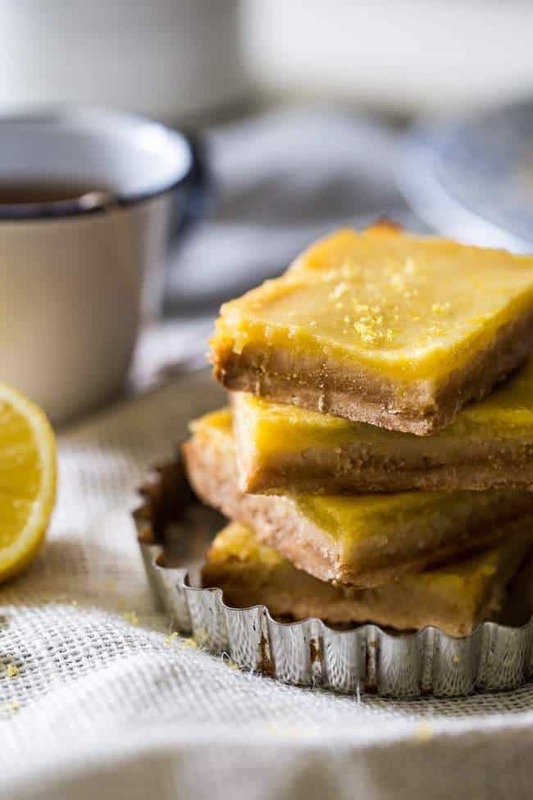 I must say i really really love the lemon bars, the recipe is great and it definitely satisfied my lemon bar craving while not eating too much sugar and flour. I had to bake the topping a bit longer for 25 minutes as half of the lemon topping part was still jiggling. I took it out when it was at the 25 minutes mark. I put it in the fridge overnight (as you suggested). The taste was wonderful, however I think my lemon topping was still a little bit under cook as it is very sticky and it falls apart easily. My lemon bars definitely didn’t look as great as yours, and some parts of it are separated from the crust, maybe i over baked the crust? Anyways I will definitely try it out again since like i said before, just a little bar goes a long way in satisfying my lemon bar craving. I’m sorry you had a few snafuus, but I am so glad you love the taste – that’s more important than being pretty 🙂 It definitely could be an issue of over-baking, OR it could also be an issue with the amount of flour you used. Did you weigh it out? Coconut flour (and GF baking in general) is pretty tricky and the only way to guarantee results is to weigh out flours! I hope that helps! It is okay~ I think they hold pretty well as long as they are kept in the fridge haha. I am looking into your breakfast recipes now. I saw so many things I want to try. We have guests coming this Sunday. I am thinking what to make for them!! I forgot to ask you Taylor. How did you take the bars out? Did you do the cutting in the pan? I had a hard time taking them out as I said some of the parts are kind of falling apart. I was thinking maybe it would be easier to take the whole thing out had I put in a sheet of parchment paper? What do you think? So they do actually have to be kept in the fridge for the most part, I think that’s in the recipe notes! Gluten free baking is tricky at first, but you’ll get the hand of it!! Can I get the nutrition stas on this and how important is it to weigh your flour because I dont own a kitchen scale? Hi Chantelle! I added a nutrition label under the recipe for you 🙂 As far as weighing goes, If you are going to get into gluten free baking I HIGHLY recommend you get a kitchen scale (mine was 10$) as it is the ONLY way to absolutely guarantee your results. However, it’s not like it’s a guarantee you won’t get good results without weighing, it’s just a lot more risky. I hope that helps! Please let me know if you try them! Thanks! This looks amazing!! I love lemon, can’t wait to try it out. I LOVE all things lemon too! Please let me know if you try them!! Thanks Lu! These look great! My Mom LOVES lemon bars and her Birthday is this weekend, I intend on making these to celebrate her day! I will let you know how they turn out – much appreciation for the recipe and the delish looking photos YUM!!! Thank you so much! I hope that you and your Mom love them. Please keep me posted! I just made a similar recipe with 1/4 cup of honey in the filling, and I can taste the honey and they weren’t sweet enough. How strong is the honey flavor in your recipe? 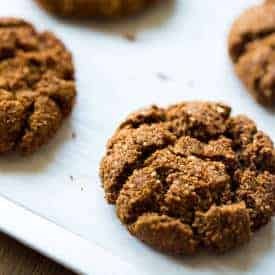 I personally can barely taste and I have had MANY readers make this recipe with rave reviews, and no one has mentioned a honey taste! So I think you might be safe? Let me know if you try it! That is seriously SO weird. I’ve made this 10+ times and have had many readers make this recipe…with no odd coconut oil layer! Seriously, I have NEVER heard of coconut oil doing this, and I’ve made this VERY crust probably 50 times for various other recipes. I am so sorry you’re having such problems! What brand of coconut oil and flour are you using? I’m sort of at a loss for what is going on and where to help you!! Don’t worry Taylor, I also think it is very odd because I used the exact same coconut flour I used last time. I will just try again after this batch. However I haven’t given up on it yet!! I put it in the fridge now and will continue the lemon part tomorrow. Hopefully it will work! if not I will just scoop it with a spoon to eat!! haha! I will let you know what happens! thanks Taylor! Haha a spoon always works! Thanks for not hating me 🙂 Let me know what happens!! why would I hate you Taylor? You don’t know how much I love you because you have been so generous in sharing all these awesome recipes. So glad the separation of the coconut oil didn’t do any damage to my lemon bars rather the bars look like they have three layers ( It actually looks nice!!) I will definitely try to make it again! Thanks so much for your help and your guide! by the way I bought carrots, I can’t wait to make the carrot cheese cake!! Well thank you! I just get nervous when I work on recipes A TON to make sure they’re perfect, and then people have troubles! I am SOOOOOOOOO beyond happy that you love the taste! Hey, your stomach doesn’t have eyes, it doesn’t know what they look like 😉 Seriously, SUPER YAY! And 3 layers sounds kind neat! Silver lining? haha. I hope the carrot cake cheesecake works out for you! Let me know! 🙂 Thanks! Looking for a healthier lemon bar alternative, found your site, bought coconut flour, and made these yesterday! My husband says they look like yours . . . they baked up just fine. I was so excited to try one today! Taste and texture-wise, these didn’t turn out for me. It’s nice that they aren’t too sweet, they have a nice tang, and the ingredients are simple. Perhaps it’s because we aren’t used to the texture of coconut flour? Let me know if you have any suggestions or advice! Thank you for your great illustrations and for your work on these. I am sorry they weren’t your favorite! If they baked up just fine then, unfortunately, I the only advice I can give is that maybe coconut flour is just not something your taste buds are a fan of! I’ve had TONS of readers make this recipe and LOVE it, but a few haven’t loved it as much, I really think it just comes down to personal preference. Coconut flour can be a little more “floury” tasting and feeling (if that makes sense) and it has a very obvious coconut taste….which isn’t for everyone! The ONLY thing I can think of is, did you weigh your flour? If you didn’t and accidentally used too much (coconut flour is SUPER temperamental) then the crust could be VERY dense and floury. Again, I’m sorry!! No need to be sorry, Taylor — it was fun to try the recipe! The flour smelled like coconut, but the final product didn’t have that coconut taste; but this was the first time I’ve tasted a product using coconut flour, so maybe I don’t know a true coconut taste! I did not weigh the flour but did sift and measure. You may be right that it just doesn’t suite our personal preference…. but regardless, I’ll look forward to trying other recipes! Thank you for your input and for your care in coming up with good, healthy recipes. It COULD be that you didn’t weight it…as mentioned measurements can be off depending on what brand of coconut flour you have…but it may just be that it’s not your tastebuds “thing!” Thank you so much for understanding and I hope that you find some recipes that you do love! I just made these lemons bars, I love them, even better than the original. I followed your recipe to the t, and they turned out perfect! Thank you for sharing, my only problem will be, trying not to eat the whole pan! 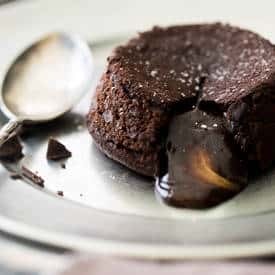 Can you make these in a glass baking pan? definitely not, they are VERY different flours – I’m sorry! Nice recipe,, Em not a food blogger, i would like to learn new-new food style and secrets. what this mean in ingredients above : “1/2 Cup Coconut Oil at room temperature (it should be the consistency of soft butter)”? It means the coconut oil should be room temperature. It will be more solid than liquid like most oils. Hope that helps! I was really excited to find this recipe. This is the first one I made that drew me to your site. I started having weird health issues about two years ago and, long story short, I had developed allergies to wheat, milk, corn and beef. Changing the way my family cooks and eats has been an interesting journey, but you’ve made it a little easier. I loved these lemon squares! …so did the kiddos. Thank you for your recipes! I don’t currently have coconut oil on hand, do you think I could sub grassfed butter in the crust? Honestly, I really can’t tell you as the recipe was not developed that way. This recipe is already a little tricky, so I am not sure that I would advise you to try it! But, if you do, please let me know how it works out! Made these last night! The crust is AMAZING. However, the lemon filing is okay – has a weird texture. Though the “okayness” of the filling could have been my fault. Since the lemon filling was SO liquidy, I thought the recipe may have had a typo when it called for 2 tsbs of coconut flour in the filling. I thought it should have been more like 2 TBS of coconut flour. Altogether, I must have added about 5 tsbs total of coconut flour to the filing, and it came out alright. Will make again and use the called for 2 tsbs of coconut flour in the filling Thanks for the recipe!!!! Love the simplicity of it. Hello!! 😀 Actually, I would’ve eaten that, just let the coconut base soak up the lemon juice, or place in the freezer ’til slightly frozen, cut and ate! I’ll eat anything that isn’t wheat/gluten. As long as it tastes good to me, I’d eat it. Although, I’ve also made some things that didn’t taste all that sweet nor good, and ate it either way, 😉 I don’t like to waste things, especially eggs, coconut flour, and lemons! HAha you sound like me! If it tastes good I will go to town on it! 🙂 Happy to meet someone else who is the same!! I am so glad you liked the taste! Honestly, this recipe is really tricky and sometimes people just have troubles getting them to look perfect…but really, you stomach doesn’t care what it looks like 😉 The ONLY thing I can think is that you may have overbaked the crust, as the crust is pretty finicky! And perhaps they weren’t chilled long enough? I hope that somewhat helps!! Oops. ???? Not sure how I missed it. This recipe is going on my bucket list–tomorrow morning! It happens 🙂 Hope you love them! Let me know! I will try to make them together with my girl friend. I hope you love them! Thanks Jakob! I’ll try this out this weekend or next week! Thanks again! I’m sorry that you had to experience that, and I wish I could change it! However, my blog is my full-time job and these ads help offset all the costs that come along with blogging (which are ALOT) so that I can keep providing you with free content. I hope you understand! And I hope you love the bars! Hi Taylor – I love that you reply to all your comments. What adjustments would I have to make if I want to make a larger batch of these for a 9×13 pan? Can I double the recipe and just check in periodically for the doneness of the crust and the topping? Responding comments is my jam 😉 And glad the laptop is best! Honestly, I REALLY can’t tell you as the recipe was not developed that way – I’m sorry! Feel free to TRY doubling it, but I do think the bars will be thinner! Let me know what you try!! Would it be possible to substitute butter for the coconut oil? I really can’t tell you as the recipe was not developed that way. I THINK it will work, but I really can’t make any guarantees – I’m sorry. Hope that helps, and let me know if you try it! Wow these lemon bars are incredible. I could not be more excited that I have a whole pan of these bad boys in my fridge right now!! Yeah!!! I am so pumped you love them!! Just FYI I posted a spin on them 2 days ago!! Let me count the ways I love these lemon bars. I just can’t get enough. This one is a winner for sure! Haha thank you so much Florentina! These sound delicious! Can you sub maple syrup for the honey? These look *so* delightful! Do you have any ideas how I might substitute the egg? My little 23mo is allergic to eggs, but I sure do miss yummy paleo sweets like this, and I’d love to safely make these at home with her. Those lemon bars look YUMMY! I can’t wait to try these out for a healthy snack! These are definitely a much better alternative than some of the regular ‘healthy’ bars out there! I agree! Thanks Niels – I hope that you love them! I love the flavor of lemon in the recipe.I really enjoyed it. I have made these a few times now. LOVE them. They are just the right balance of tart and sweet. Excellent recipe! Love these bars! They have become a go-to. I’m thinking of trying to make these in single serving sizes, more as a mini-tart in cupcake tins. I really can’t tell you as the recipe was never developed that way- I’m sorry! I would just make the crust as is, divide it into the cupcake molds, press down, and bake it. No idea how long, but just watch it! Then divide the top on the crust as you normally would and really just keep an eye on it to gauge when it it’s done. I hope that helps! Thanks Taylor! I attempted the mini’s in muffin tins last night and they’re in the fridge setting. Fingers crossed they turn out as well as your bars! The only thing I noticed is that the lemon filling appears to have not mixed well to the eggs. The top looks like you can see the egg in certain spots. Do you think this mean I didn’t whip the eggs enough? Hmmm that’s odd! I do think it COULD mean that – but, that sometimes happened to me in the 11 trials where this recipe didn’t work – so hopefully that isn’t the case! It could mean that they dont want to be mini – let me know hoe they turn out! OH MY GOODNESS THESE ARE AMAZING!!! Since it had coconut flour I expected a “paleo-ish” taste if you know what I mean 😉 But no, these guys taste normal! Like normal lemon bars! Creamy, tart, sweet lemon bars! You could only taste a hint of coconut in the crust but it tasted really good that way! I’ve made many coconut flour dishes and (except maybe some brownies) none of these tasted as “normal” as this one! I so badly wanted to eat the whole thing lol! I made these today as a test batch just in case they failed because I’m bringing them to a party, thankfully they turned out perfect except a few cracks but eh it’s the flavor that counts right? My cousin is paleo and my aunt is allergic to almost everything including almond flour, so it is perfect that these are nut free too! THANK YOU!! OH YEAH, totally the flavor – mine crack too sometimes!! I AM SERIOUSLY SO EXCITED THAT YOU LOVE THEM. You actually just made my WHOLE weekend! Thank you for letting me know Sofia!!! I made these tonight! My Meyer lemon tree is off the hook right now so I was thinking of things I could make with the lemons. I love lemon bars but tend to stay away from white sugar so I googles paleo lemon bars and these popped up. These turned out AMAZING!! I’m so glad I made them. Even my teenager and 11 year old loved them which I was not expecting. I expected them to be a healthy alternative, nope, they are the bomb!! THANK YOU! YOU HAVE A MEYER LEMON TREE? I WANT YOUR LIFE!!! I am SOOOOO HAPPY you love them! Thank you for letting me know! These are so delicious! The dough stuck to my fingers as I was pressing it into the pan so I put the pan in the freezer for a few minutes to allow the dough to firm up. The lemon flavor is really good, not too sweet like a “regular” lemon bar can be. I like the bit of coconut flavor from the flour, it compliments the lemon. I do need to eat these with a fork, the crust doesn’t hold together very well for me. That’s okay, I’ve been eating them like a main dish from the pan, they’re so tasty. 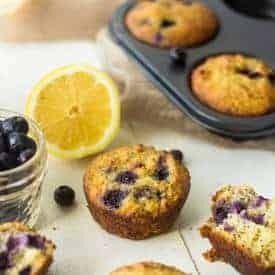 What I love about this recipe, and all Paleo recipes, is that these taste like real food without any one of the ingredients overwhelming the others. I’m new to Paleo baking, I’ve had more misses than hits. This recipe is a keeper. Thank you Taylor for sharing this after getting the recipe just right. I love your work! Thanks, Barb! Glad to hear you are enjoying these! AHHH you made my day! Thanks Laura! I absolutely love lemon desserts and this one looks fantastic. Thanks for sharing! Hi Raissa! Not sure what you mean – both cups and grams are listed! Please use the cup measurements. Grams are only given for flours as it’s VERY important to weigh your flours with gluten free baking to make sure your results are accurate, they have no relation to any other ingredients. Hope that helps! Raissa, there are standard measuring cups for cooking. You can get them at any store 🙂 Thanks! hi! could i use maple syrup instead of honey in both the crust and the topping? I can’t tell you for sure as I have not tried it. I THINK so! I just can’t guarantee! Let me know if you do try it! This looks like the perfect cookie! Yum! Unfortunately not, they are VERY different! Sorry! I’m excited about this recipe! I love lemon bars. I love lemon bars, and these are very delicious! The crust turned out perfectly, but the lemon part seemed a little grainy if that makes sense. They still taste really good! Hmmm, I think you may not have mixed the coconut flour in enough OR it wasn’t weighed?? Either way, glad you like! Woah! This is something new to me, never heard of it, never seen it. I am SO happy to have you here Melissa!! And I hope that you LOVE these! 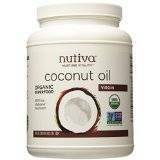 Hi Taylor… I am very excited to try your recipe, I just wanted to ask you about the coconut oil. I saw you used A virgin one, but can me extra virgin too,or it have a little diference? 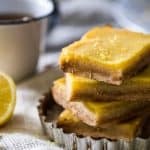 I tried these lemon bars and they are super delicious! I adjusted a recipe but it still turned out perfect! Recommended! Thank YOU! It makes me so happy to hear this! You are so welcome! I hope you LOVE them Anuj!! Yes dear, I liked them. This is a truly finger-licking dessert, Taylor! Lemon bars are a perfect summer treat which I can’t wait to prepare. Excellent job sharing an easy and tasty recipe! I’m allergic to coconut I need products on the outside – break out in hives (ER room) so I’m leary about it in food. Do you know if it reacts the same inside? I hate to spend money on products that might make me ill. I really wish I could help you – but I don’t feel comfortable weighing in on something that could make you sick when I don’t know. Sorry! 9 tries in one day, wow. Thanks for your dedication and this fantastic recipe. Yay! So glad! Thanks Whitnee! I have never tried frosting, but I can’t see how that would be bad! 😉 I could see a coconut whipped cream frosting being SO tasty! BUT I am so glad you love them! Thank you Lisa! Love the bright citrus flavors! Perfect for a springtime picnic! Who doesn’t love a good healthy lemon bar? It looks as though you were rewarded with the perfect lemon bars after those 9 (!) attempts! Nothing better than a super tart lemon bar! These are AWESOME. I’ve been craving lemon bars and these hit the spot. Thank you for the recipe. These bars are FAMOUS for a reason! Pure deliciousness! No – I am sorry! Made them last night and they are fantastic! I only hated having to wait so long before stuffing my face. Loved that I had all of these things on hand and being able to make a treat like this so easily kept me on track (I was craving something bad in a big way haha). Thank you for sharing! Thank you so much! I hope you love them when you re-try! I’m excited to try this! My husband loves lemon bars but cannot have coconut flour. Do you think chickpea flour could work instead? Coconut flour is unlike any other flour, and there really isn’t a great way to change it I’m sorry! Recipes are only tested as written, so i really can’t tell you how to change them. Let me know how they turn out! I haven’t tried them in a 9×13 so I really can’t tell you. I’m sorry!